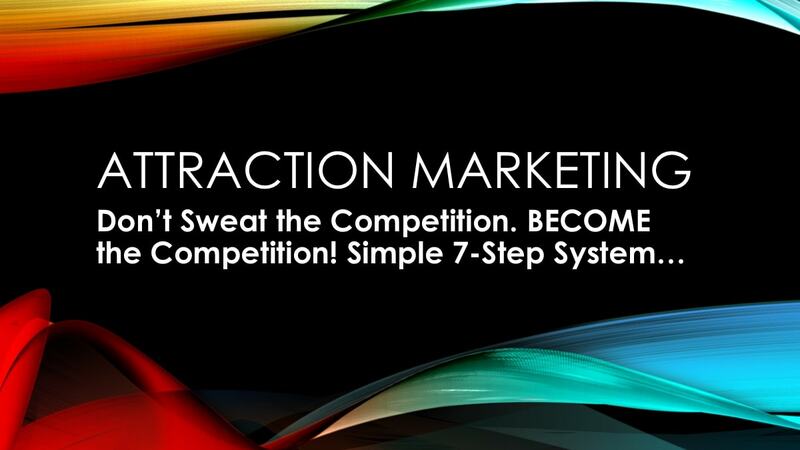 Attraction marketing is any form of marketing or advertising that seeks to attract an audience of people most likely to have in interest what you are promoting. Imagine having people reaching out to YOU every day asking YOU about YOUR business, products, and services?! Imagine having your Facebook inbox flooded with hungry prospects who initiate conversation with you, and are excited to learn more about YOUR opportunity?! Sound good! Let's dive in….